Events that have unfolded since October 26 beginning with the sacking of Ranil Wickremesinghe as Prime Minister followed by the appointment of Mahinda Rajapaksa as Prime Minister, Prorogation of Parliament, swearing in of new cabinet ministers, dissolution of Parliament and fixing date for Parliamentary elections on January 05, 2019, stay order issued by the Supreme Court against dissolution of Parliament with hearing of arguments slated for December 5, 6 and 7, resulting reconvening of Parliament, Mahinda Rajapaksa and around 40 SLFP members joining SLPP, successive No Confidence Motions brought by the UNP, JVP, TNA triumvirate, free for all inside Parliament between UNP and SLFP/SLPP Members of Parliament with the use of knife-like objects and chili powder mixed with water and boycott of Parliament by SLFP/SLPP group, supposedly the ruling party has brought the country and economy to a grinding halt. These days, little other than the current political imbroglio is reported in the electronic and print media. Ordinary citizens too speak of little else other than the current political gridlock and are waiting with bated breath for the Supreme Court’s decision. The verdict can be only one of following two. Dissolution of Parliament could be either upheld in which case, Mahinda Rajapaksa and his ministers will gain legitimacy and plans to hold parliamentary elections could proceed. In the event it is declared null and void, it will be necessary to revert to the status quo which prevailed before October 26. President Sirisena’s declaration of not swearing in Ranil Wickremesinghe as Prime Minister under any circumstances could become a complication in the event UNP members stick to their guns and insist on their leader’s appointment. The culprit in chief in this tragicomedy, if one may use the word, is the lack of wisdom on the part of President Sirisena and his utterly selfish desire to seek office for a second term. The reasons he has given in justifying his actions cannot be summarily dismissed and has considerable merit. Ranil Wickremesinghe’s inability to work with any President is a matter of record. Former President Chandrika Kumaratunga would validate the fact. However, it is the manner in which President Sirisena opted to address his problems with Wickremesinghe that has earned him the ire and ridicule of many. The bone of contention is in the appointment of Mahinda Rajapaksa because of accesses committed during his administration even though many accusations remain unproven. Democratic or undemocratic, Wickremesinghe with the support of 60 some MPs replacing a sitting Prime Minister supported by over 140 MPs was not a problem a mere three and half years ago. No objections being raised by the self-serving MPs, especially the so-called official opposition does not make the act any less undemocratic. President Sirisena lacked the vision and courage to do what was necessary in an acceptable manner. He could have exercised his right as President to address Parliament and explained to MPs, difficulties he faced with Wickremesinghe. He could have also explained his inability to continue with the farcical unity government and requested MPs from both sides of the divide to move a motion in Parliament for its dissolution with a 2/3 majority as permitted in the Constitution. He could have also informed them, in the alternative he would be compelled to appeal directly to the people by way of a referendum to give him the mandate to hold a general election. Even though constitutionally such a referendum is non-binding, MPs would not have been able to ignore a Yes vote provided it is endorsed by at least 55% to 60% of voters. MPs would have had to give President Sirisena the mandate he sought. In the current scenario, all major players have become losers. President Sirisena is being condemned roundly for his unconstitutional and undemocratic methods. The city folks are angry with his choice of Mahinda Rajapaksa as Prime Minister even though views of rural people is not known. His announcement of releasing Sinhala and Tamil translations of Bond Commission report along with full list of names of MPs having accepted money from Perpetual Treasuries subsidiary Mendis & Co. fools no one. He is planning to do so not due to altruism but to gain political leverage. Ranil Wickremesinghe’s popularity, severely dented after the Central Bank bond scam was in the wane despite comfortably winning the recent No-Confident Motion (an excellent example of people’s views being overruled by their elected representatives which we call democracy). Had President Sirisena sworn in any person other than Rajapaksa, the opposition would have been much less. 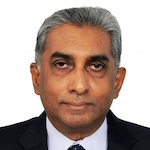 Wickremesinghe’s singular plus point, financial integrity, lies shattered after the bond scam. Few would have shed tears for him. Many including some in his party would have sighed with relief over his dismissal. Thanks to President Sirisena’s modus operandi, he has managed to claw back some support. However, in case the threat of a Presidential Commission to investigate corruption during three and half years of Yahapalana government becomes a reality, Wickremesinghe’s image and reputation will take a further beating. Mahinda Rajapaksa was known to have headed a corrupt regime, especially from 2010. Despite voters rejecting him in 2015, he had managed to dent the unity government’s popularity and was cruising to a likely electoral victory in the next Parliamentary elections, originally scheduled for mid-2020. He has lost much credibility since being sworn in as Prime Minister on October 26. Shenanigans of his group inside Parliament, his choice of cabinet Ministers and decisions such as appointing the one-time controversial CEO of SriLankan Airlines as Chairman of the national carrier which lasted less than 24 hours has angered the public. It is not known if Rajapaksa’s war-winning shine in the eyes of rural folk remains intact or has been dented. President Sirisena, in the early days of the unity government, spent tax payer’s money and traveled to London to attend a World Anti-Corruption Conference on the invitation of the then British Prime Minister David Cameron. He spoke of the mandate given to him by his people to eradicate corruption (of the Rajapaksa administration) and his commitment to the cause of fighting corruption. It did not take long for him to lose his resolve. Dissolution of Parliament on the eve of the release of the COPE report on the first bond scam amounted to protecting the scoundrels involved in the fraud and also ensured an electoral victory for the UNP. The report by Commission to Investigate Allegations of Bribery & Corruption (CIABOC) had made some startling revelations after investigating into corruption during the Rajapaksa administration. Mahinda Rajapaksa himself has been charged with depriving ITN of millions of rupees. Others charged for various offenses are; Wimal Weerawansa, Mahindananda Aluthgamage, Mahinda Yapa Abeywardena, Udaya Gammanpila, and Johnston Fernando among others. The President’s decision to swear them in as Ministers is vehemently disapproved by civil society. How did the anti-corruption crusader Maithripala Sirisena, after pledging to fight corruption both locally and globally manage to swear in these worthies as Prime Minister and cabinet ministers? After the Supreme Court verdict, what choice do we have other than settling for either Ranil Wickremesinghe or Sajith Premadasa and their band of crooked MPs? If not, we will have to settle for Mahinda Rajapaksa, his wayward siblings, and progeny besides his group of corrupt MPs, many who are also thugs. Many cabinet ministers will be either those from the UNP who have accepted money from the bond scam perpetrators or those from SLFP/SLPP, many who have been found guilty or under investigation by CIABOC. Regardless of the Supreme Court’s verdict on December 7 or shortly thereafter, the most critical question is; where do we the People go from there. What are our choices? Voters should not vote for the UNP if party nomination for next general elections is given to MPs named in the bond scam list which the President has promised to release. Voters should also not vote for the SLFP/SLPP if nomination is given to any one of those found guilty of corruption or is under investigation by (CIABOC). Ours is a Hobson’s choice. Note it is mere excesses (accesses)…. Mahinda Rajapaksa because of accesses …., even though many accusations remain unproven. You are certain that UNP accepted money from the bond scam perpetrators. Or is it going to be prisoners dilemma for the clan? Will you now spot the political machinations of UNP/TNA which pose great danger to the majoritarian people of this island? Secondly, I wrote of many UNPers who accepted money from bond scam perpetrators based on findings of the PCoI. Telephone numbers and amount of calls between MPs (including UNP COPE members) and Perpetual Treasuries bosses along with cheque numbers of payments made were produced by investigators which I have no reason to disbelieve. Your ignorance on the subject is obvious. I suggest you inform yourself on PCoI findings. Try not to bring in your over used ethnic angle to any and every discourse. RW was the victim of 2 hostile presidents of “opposite mindset or opposite party”, at the time of events. Please read: Critical Analysis New Constitution ….., Dr NMP page 13, last para which continues to next page,. I don’t take the pain to retype it. “Democratic or undemocratic, Wickremesinghe with the support of 60 some MPs replacing a sitting Prime Minister supported by over 140 MPs was not a problem a mere three and half years ago. No objections being raised by the self-serving MPs, especially the so-called official opposition does not make the act any less undemocratic“. After 8 Jan 2015 was there any other way, MS could form a Cabinet, when the Head of Cabinet that existed on 8 Jan 2015 was defeated and the Cabinet of MR had defunct by virtue of the Headless Cabinet (had taken the chopper flight to Medamulana). I think Constitution is silent on this situation of the fate of the Cabinet when the Sitting President is defeated. He could have dissolved Parliament, called snap elections and appointed the leader of the party he thought commands a majority as PM along with a Cabinet of Ministers. Alternatively, the new Prime Minister chould have proved he had the confidence of the House by way of a ‘floor test’ as UNP demanded after 26 October 2018. “The biggest betrayal of MS after Jan 8 is embracing SLFP within a week of election, kicking away the aspiration of 6.25 million. A real statesman (of the caliber of Felix R D Bandaranayake) would have dissolved Parliament on 9 Jan 2015 (not on 9 Nov 2018) appointed RW as caretaker PM before dissolution, arrested MR, GR, and a few to break the moral of these personalities, implement public security act, not hold elections for many months till all rouges are jailed (JRJ did thing which nobody dreamed) and hold elections after the party is over”. Lankan writers/columnists are under the silly illusion that if they resort to ox-bridge/ivy-league jargon that whatever nonsense they write somehow magically becomes the truth/reality! Why resort to all this long-winded silly word-play when what simply happened was ……….. when nearing the end of his term, Sirisena tried to make use of Ranil’s perennial unpopularity by picking a fight with him and trying to hitch his wagon to Mahinda’s popularity for a second run for the presidency. That was the only option available to Sirisena for his future political survival. The plan fell through when they could not “buy” a majority for Mahinda. In “Lankan political terms” Ranil is a foolish man because he is different from all the other Lankan pols ……… but to give the man his due he has a lot of class ……. and class is not something many Lankans – “learned” or not – will recognize even if it fell on their heads. Nimal Fernando; if by “a lot of class”, you mean Royal College educated, western suited, more at home in English rather than in Sinhala or Tamil, well versed in table etiquette including the use of cutlery and able to eloquently quote the likes of Shakespear, Byron etc. yes, he does have a class, albeit in a Thuppahi sense. In every other sense, he has little or no class. The classiest Lankans I’ve ever met are an older group of people who have had no exposure to education or religion; a group of people who had to “think-up” their own ethics/morals themselves. Go figure. If you don’t know what class is, you never will. Let me repeat, especially for a Lankan pol – or for that matter a pol of any other country – Ranil has a lot of class. People who know what class is will know what I mean; others never will. But that does not mean Ranil is without faults/shortcomings. Could you please reproduce Critical Analysis New Constitution ….., Dr NMP , for the benefit of the readers. I do not have an electronic copy but can scan if you need. Also Dismissal of Gogh Whitlam (1975 Nov) is an interesting parallel to ( in more descent society) Sirisena Saga (Nov 2018). A good suggestion on how the President could have removed the Prime Minister. I agree it should have done in a better way and should have been sucessful. Prime Minister Mahinda Rajapakses popularity will only increaze with the PM position he now has. He is the innocent victim and hero and President Sirisena is the dual figure here: hero, villain, reformed SLFPer, and much more. The people know the names of the ministers accused of corruption, let us see if they vote for them. I bet Ranil will still get his thousands of votes. That’s consitutional by the way. Even if people do not vote for them, they will find their way to Parliament and Cabinet through the back door (National List) which too is constitutional in this land like no other!